Close focus wide angle shooting technique used to show creature in its habitat. 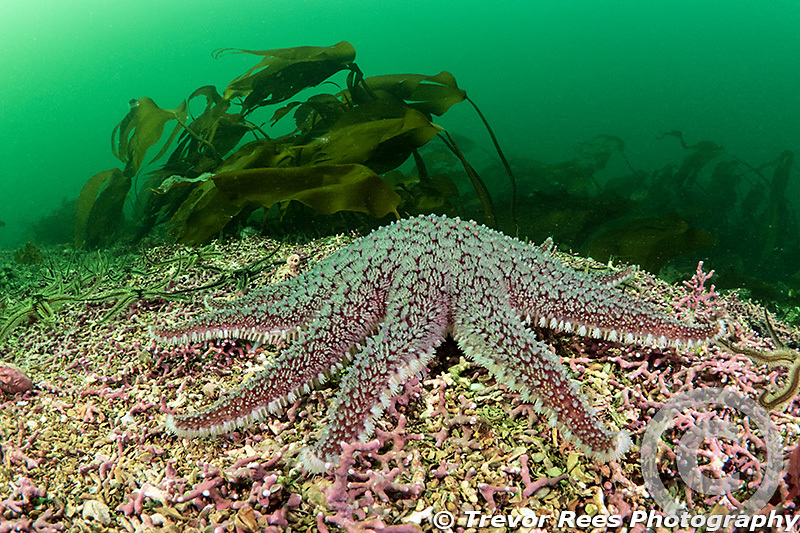 The current swept seabed at Strome in Loch Carron never disappoints in terms of abundant marine live. The maerl bed shown here shows kelp in the background, stretched out in the current. Olympus EPL7, 8mm lens, Inon dome port.